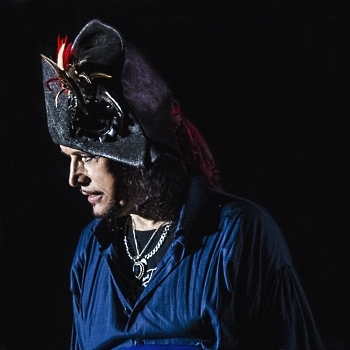 Legendary icon Adam Ant will return to the United States this fall, including a stop at Greensboro's Carolina Theatre on September 25th, and he'll bring his legendary Friend Or Foe album with him. Ant will be kick off his eighteen-date U.S. tour in Milwaukee and will perform his Friend Or Foe album in its entirety, in addition to hand-selected hits and favorites, at every stop. Friend Or Foe was Ant's first album after going solo and also the album that made him a hit in the U.S. Friend Or Foe contains such Adam Ant classics as the titular leadoff track, "Desperate But Not Serious," "Place in the Country," a cover of The Doors' "Hello, I Love You," and "Goody Two Shoes," the song that opened the ears and eyes of many of us in the United States.